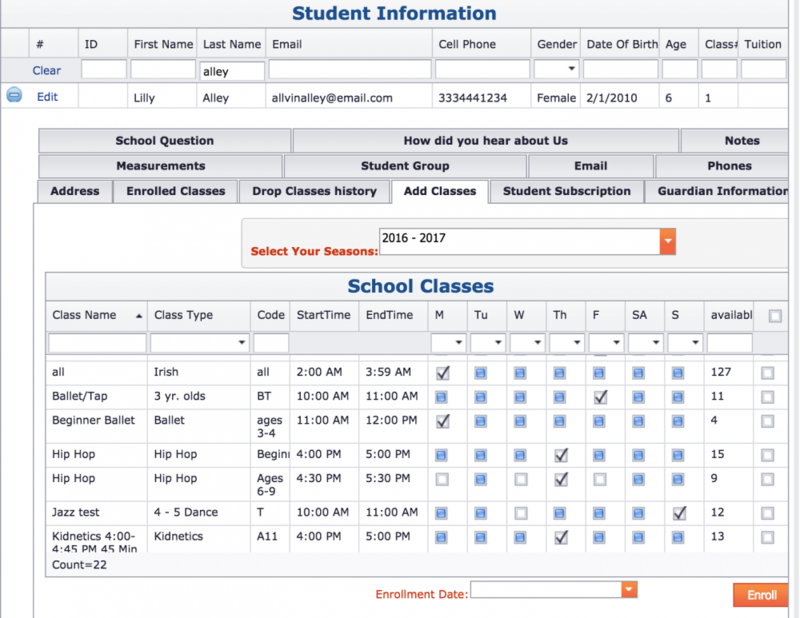 A student can be enrolled in one or multiple classes at the same time. NEW You do not have to select the season, it will default according to your current defaulted season. A list of classes will be displayed. Click the checkbox one the row of the desired class or classes. Enter the date the student is enrolling in the class. Lastly, hit the enroll button to complete the enrollment.